Cardinal Health CNE00013V Cane with J-Hook Handle, Adjustable, 30-39 in. Height, Supports 250 lb by Cardinal Health at Pulmonomics. MPN: CNE00013V. Hurry! Limited time offer. Offer valid only while supplies last. Mobility products from Cardinal Health help improve quality of life and give you the freedom to live a more active and independent lifestyle. Mobility products from Cardinal Health help improve quality of life and give you the freedom to live a more active and independent lifestyle. Practical options are rigorously tested for weight capacity and stability. 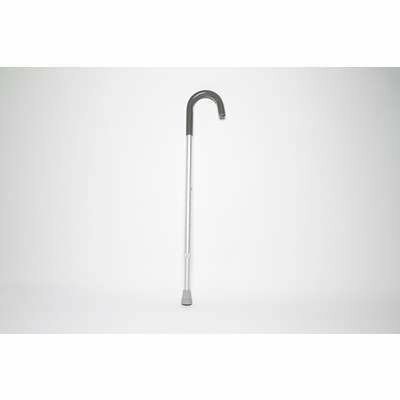 The J-hook walking cane offers a slight assist to improve balance and supports up to 250 pounds.